Dr Thorsten Bohnenberger, product line marketing director at Faurecia, gives us a glimpse of what the automotive technology company is developing to make the cockpit of the future a comfortable, safe and personal space to travel in. 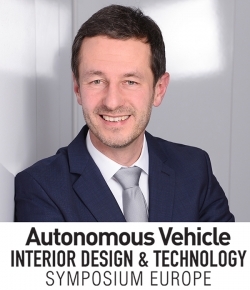 Catch Thorsten’s presentation Designing Bubbles: Digital Magic for Analog Users at the Autonomous Vehicle Interior Design & Technology Symposium. Purchase your delegate pass here. To meet evolving expectations, Faurecia’s vision for the cockpit of the future focuses on providing a more versatile, predictive and connected environment that aims to personalize the journey and enable occupants to make the most of their time on board. In my presentation, I will speak about the latest technologies and innovations in this field that will enable amazing user experiences in the context of the CARE megatrends (connectivity, autonomous driving, ridesharing, and electrification). We will take a look at the challenges of the transformation process from the perspective of Faurecia, one of the largest automotive suppliers, and we will see how we’ve managed to overcome the transformation roadblocks. What will the cockpit of the future look like and what are the most central technologies to a successful AV interior? 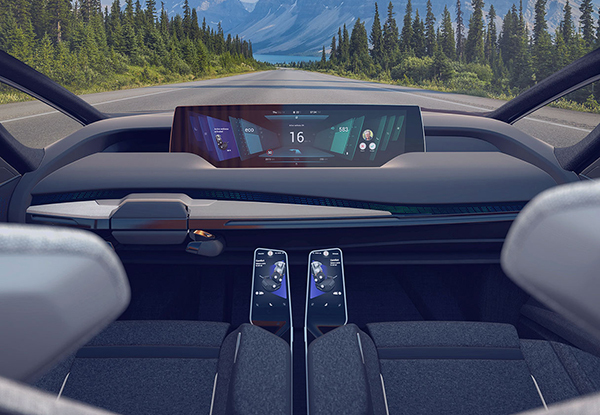 The increasing autonomy and connectedness of vehicles is radically altering the driving experience and as a consequence, the vehicle’s interior. 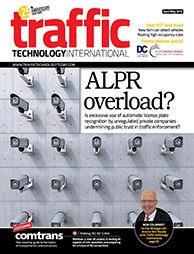 Different use cases are emerging that allow both the ‘driver’ and the passengers to work or relax under certain conditions. Faurecia has taken full measure of this, pioneering a comprehensive technology offer that makes the cockpit of the future a reality today. Let me give a few examples. We’ve developed a number of advanced safety solutions, which fall under the concept of ‘smart life on board’. These ensure that each occupant has an individual safety cocoon in all seated positions. Faurecia’s approach to advanced safety combines new seat kinematics, while integrating safety components – such as airbags or the seatbelt – directly into the seat. Enhanced comfort and wellness solutions are so effective that passengers may even feel better at the end of their journey than at the beginning, something unimaginable with manually driven vehicles. This technology can also collect pertinent data for the predictive cockpit of the future. This way, a ‘smart seat’ will be able to analyze physiological data and then apply countermeasures to mitigate motion sickness, stress, discomfort and drowsiness. In addition, it will improve the driver’s readiness to take over if required and to operate controls effectively. Data gathered on the driver’s condition is translated into a variety of personalized actions that include adjusting the seating position, turning on the seat’s five-program massage function, activating the seat ventilation or changing the ambient lighting or the sound system. Over time, the cockpit will learn the occupant’s preferences and so provide a more comfortable and enjoyable onboard experience. Climate comfort and air quality also play a large role in the cockpit of the future. 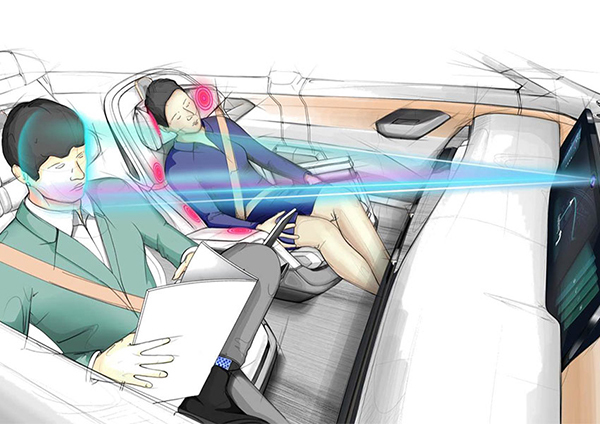 Faurecia’s approach to this is to provide a personalized climate for each individual passenger. 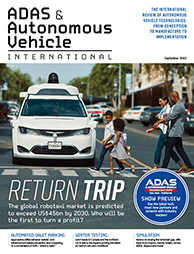 This can be realized using an integrated system that combines the traditional thermal management technologies we already have in today’s cars (HVAC, heated and cooled seats, …) with new solutions, such as advanced materials that are able to absorb and subsequently release heat when and where required. 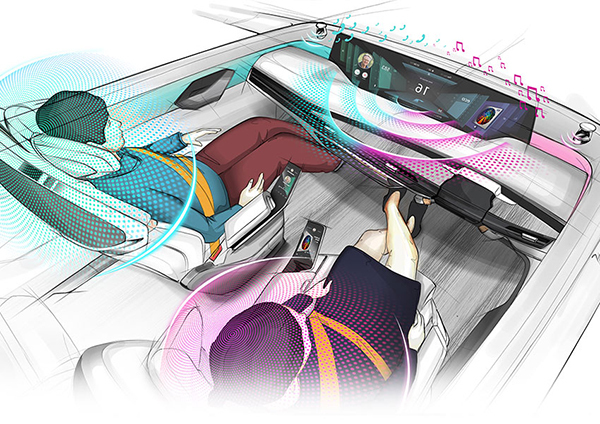 Faurecia’s immersive sound experience, meanwhile, ensures that each passenger has a personalized sound bubble with no interference. One application of this technology would be that one passenger could have a phone call while the others listen to music – without one bothering the other. Eventually, Faurecia’s cockpit intelligence platform (CIP) will integrate all the key functions of the cockpit, such as driver status, infotainment, safety, comfort and thermal and acoustic management to ensure the cockpit interacts intuitively and provides a seamless and predictive onboard experience for all. As a global leader in automotive technologies, Faurecia has to anticipate all the challenges of a changing industry. With the help of strategic partnerships with companies, startups and academia within an open innovation ecosystem, Faurecia technologies address the cockpit of the future question in order to arrive at a safer, more comfortable, and more intuitive experience. To best respond to constant evolution across the automotive and mobility world, we connect with universities and scientific institutes to explore the latest research and accelerate the production of new technologies. Moreover, Faurecia collaborates with local start-up ecosystems via technology platforms. In this context, Faurecia Ventures is the Group’s investment fund investing in startups to bring technological progress and create long-term value for the Group.